Vacation rentals ads in Brisbane. Thank you for visiting our free advertising website Vacation rentals, Brisbane section. We provide high response free classifieds and free advertisement. Use our online free Vacation rentals classifieds placement system to find, list, offer Vacation rentals online! Deck Chair Cruising offers great deals on Celebrity Cruises for a modern luxury vacation. Celebrity Cruises offers high quality, superior design, and spacious accommodations for exploring Australia and New Zealand.Every room, bar, restaurant and recreational space on board a Celebrity ship has been carefully designed by teams of world-class architects, interior designers and stylists to showcase some of the most inspiring spaces at sea. Are you looking for carnival cruises for your holidays? Then Deck Chair Cruising is the one you should be looking for. A Carnival cruise is the ultimate care-free holiday designed to take the weight off your shoulders and whisk you away from your worries. We make it easy for you to compare and book Carnival cruises from ports all around Australia as well as keep up to date with current promotions and offers. 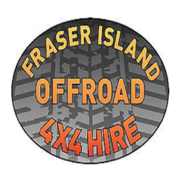 Choose your own Adventure on Austrlias world largest sand island, Fraser Island with our Family owned and operated 4wd hire. 25 years experience on Fraser Island beach driving and also the Cooloola Recreation Area at Rainbow Beach. Best price guaranteed, we will beat ANY written quote. Come see us today for you self drive Fraser Island Adventure TODAY. 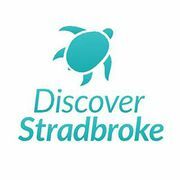 Discover Stradbroke is a full-service boutique real estate agency specialising in property sales and holiday rental accommodation on North Stradbroke Island (Straddie to the initiated). Positioned as a progressive and innovative property management company, Discover strives to create great holiday experiences for our guests and to generate a healthy ROI for our owners and investors. Aspley Carsel Motor Inn is in the Aspley-Carseldine area north of Brisbane - offers a comfortable accommodation motel and easy access to Brisbane CBD and Airport. You can conveniently locate this accommodation within the Aspley/Carseldine area of North Brisbane. Aspley Carsel Motor Inn is 20 min from Brisbane Airport, 9 min from the Brisbane Entertainment Centre, 11 min from Eaton’s Hill Hotel and 12 min from Prince Charles and Holy Spirit Hospitals. Looking for a Romantic Spot to say vow and spend memorable time with your love ones or a perfect venue to impress business associates when hosting conferences or seminars, we we at Dixieland Estate are proud to say that we offer both!Even you can have wedding parties in dixieland estate. Our estate is big like we have 8 bedrooms and 5 bathrooms where you can enjoy and have a rest comfortably and happily. Dreaming of a trip to Bali and you're looking for an ideal holiday in Bali or Lombok? Rental Bali for more than thirty selected special and beautiful villas in the most beautiful place in Bali and Lombok. With our knowledge and expertise, we will personally prepare a proposal tailored to the trip - airfare, transfers to and accommodation - which integrates fully with all you need and convenience! Please check the website bellow: http://www. Kirkland House Accommodation Brisbane(Australia) is beautiful, quite, good value for money, romantic grand colonial Queenslander located in the inner Brisbane, close to Brisbane CBD, that blends the look and feel of its elegant history with the luxury and convenience of brand new furniture & fittings of its recent renovation. 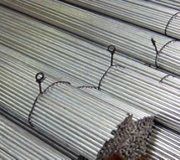 Straightened and Cut Wire makes binding easier Straightened and cut annealed wires are very workable for binding up construction materials, tags or similar items for good properties of flexibility and ductility. They come to various sizes from 0.5mm to 8.0mm and can be cut to certain length ranging from 400 to 6000mm. Visit http://www.ticao-island-resort.com/ for more info. Online booking at http://www.atlantisonlinebooking.com/ticao/check-availability.php Ticao Island Resort Reservations Office: RM-1A Creekside Building, Amorsolo corner Rufino Street, Makati City, Philippines Resort Address: Sitio Tacdugan, San Jacinto, Ticao Island, Masbate Tel: +63-2-893-8173 / +63-917-506-3554 / +63-906-324-3116 /+63-906-324-3034 We have 9 beachfront Cabanas and each Cabana is fitted with: •	2 double sized beds (option upon request for 3 single beds for triple share) •	Air-conditioning •	Private toilet and bath with hot & cold shower •	Veranda facing the beach •	Safety deposit box •	Hair dryer •	Hot water pot •	Coffee, tea, and bottled water available in the room •	Shampoo, conditioner, and soap provisions •	Insect repellent available for free upon request PRICE Lean Period SINGLE per person PHP 1, 900 TWIN / DOUBLE per person PHP 1, 600 TRIPLE per person PHP 1, 500 Peak Period SINGLE per person PHP 1, 900 TWIN / DOUBLE per person PHP 1, 600 TRIPLE per person PHP 1, 500 Visit http://www. Australia free ads for Vacation rentals, Brisbane, Vacation rentals free ads Brisbane, Vacation rentals for sale Brisbane, Vacation rentals to buy in Brisbane. Find on this page free classifieds for Vacation rentals in Brisbane. This listing includes classifieds for sale and to buy in Brisbane. FREEADSAustralia Brisbane offers you a platform to post free advertisements or classifieds for Vacation rentals in Brisbane. FREEADSAustralia helps you search, find buy, sell, rent or hire in various categories like apartments, goods for sale, local services, cars , jobs and many more in Brisbane. If you posted an advertisement in category Vacation rentals of FREEADSAustralia Brisbane before please use Edit my ads button to change or cancel your ad. Vacation rentals Brisbane ads Brisbane, Vacation rentals classifieds Brisbane, Vacation rentals free ads Brisbane, ads for sale Brisbane, ads to buy Brisbane, FREEADSAustralia. Find here ads for sale, to buy and rent in Brisbane. Goods for sale in Brisbane, vehicles for sale in Brisbane, Brisbane real estate for sale, Brisbane property for sale, property for rent in Brisbane, business ads in Brisbane, Brisbane business classifieds, services in Brisbane, Brisbane services ads, jobs in Brisbane, pets for sale in Brisbane, Brisbane dating, Brisbane cars for sale.